• Extracranial, which are caused by outside factors that affect the brain, such as a poison or low blood sugar. Diagnosis is made via blood and urine tests. • Intracranial, or structural, result when there is something wrong inside of the brain, such as a brain tumor. These are more worrisome and are diagnosed via MRI and spinal tap. • Idiopathic, which are the most common type, result from a functional problem in the brain in which the neurons over-fire, causing the brain to become excessively excitable. Idiopathic seizures typically appear in dogs between one and five years of age and most commonly affect Cocker Spaniels, Labrador Retrievers and German Shepherds, although any breed can suffer from them (Wong, 2013). Certain flea and tick treatments are unsuitable for dogs with seizures. The topical spot-on flea and tick control products continue to raise concerns about their safety. In particular, products containing organophosphates and carbamates pose severe health risks and should not be used on pets. Organophosphates are neurotoxins that kill insects by interfering with the transmission of nerve signals in their brains and nervous systems. Like organophosphates, carbamates are toxic to the brain and nervous system. If the product label lists atropine as an antidote to poisoning, the product most likely contains carbamates. Put 1 cup of gelatin in a 1-quart bowl. Add 1 cup of the cold liquid and let stand one minute to soften. Pour 1 cup of boiling liquid (water or broth) over the softened gelatin, and stir until the gelatin completely dissolves (about five minutes or less). For chewier treats, add more gelatin. Pour the mixture into a 9 x 12 inch pan and let harden. Cut into 1 by 3 inch strips or an appropriate size for the dog. It’s estimated that 20% of dogs on phenobarbitol anti-seizure medication develop liver enzyme induction (Canine Epilepsy Guardian Angels, 2011). Liver cleansing herbs such as milk thistle and/or SAMe can be helpful. Coal and corn do not mix. * Adapted from: Dodds, WJ, Laverdure, D R. (2015) Canine Nutrigenomics: The New Science of Feeding Your Dog for Optimum Health, Chapter 11; DogWise Publishing, Wenatchee, WA. Bugianesi, E., McCullough, A.J. & Marchesini, G. (2005). Insulin resistance: A metabolic pathway to chronic liver disease. Hepatology, 42, 987–1000. doi: 10.1002/hep.20920. Canine Epilepsy Guardian Angels. (2011). Canine Epilepsy. Retrieved from http://www.canine-epilepsy-guardian-angels.com/default.htm. Carr, A. (2013). Ketogenic Diet, Zonisamide Ease Seizures. Retrieved from http://www.veterinarypracticenews.com/vet-practice-news-columns/abstract/ketogenicdiet-zonisamide-ease-seizures.aspx. Coates, J. (2013). Dietary Therapy for Canine Epilepsy?. Retrieved from http://www.petmd.com/blogs/nutritionnuggets/jcoates/2013/june/dietary-therapy-for-canineepilepsy-30491#.UsBsfRaAGFJ. interplay of epigenetics and epilepsy. In Underlying Mechanisms of Epilepsy. doi: 10.5772/24529. Koepp, M.J. (2005). Omega-3 fatty acid supplementation in patients with chronic epilepsy: A randomized trial. Epilepsy Behavior, 7(2), 253-8.
chromatin modifications play a role in epileptogenesis? Epilepsia, 52, 15–19. doi: 10.1111/j.1528-1167.2011.03145.x. Murray, L. (2012, August 28). [Personal correspondence]. National Library of Medicine. (2013). Pyridoxine-dependent Epilepsy. Retrieved from http://ghr.nlm.nih.gov/condition/pyridoxine-dependent-epilepsy. Thomas, W.B. (2011). Does the Ketogenic Diet Work for Dogs? 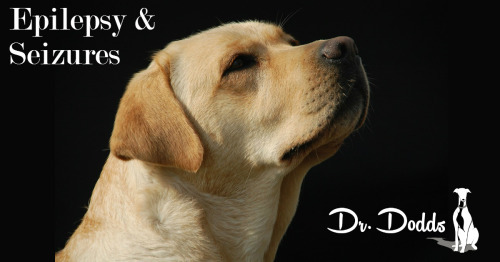 Retrieved from http://www.canine-epilepsy.com/KetogenicDiet.html. Wilson, L. (2013). Epilepsy and Seizures. Retrieved from http://drlwilson.com/Articles/epilepsy.htm. Wong, M. (2013, December 4). [Personal correspondence].